Novus 2000 with LDS 20 slit lamp. Argon system operating at manufacturers full specifications. 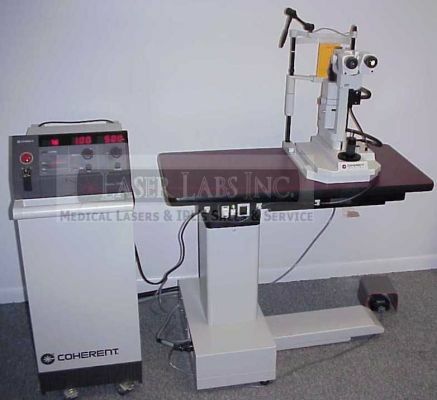 In good condition with Coherent LDS20 slit lamp. 2.5 watts of blue green, 1.0 watts of green only, internally cooled, auto repeat, wired for 240V. Optional LIO also available. Call for additional information and price.